I spoke on the phone with Josh Del Rosso, Founder and Managing Director of his namesake, Josh D Farms the other day and as UN-taped interviews: IE., cold call conversations go, it turned into a cheery, smile filled excursion into the world of ultra-high end cannabis and the stories that surround this lux-art form. Which is to say, as the time slipped by, and I found myself in a state of self induced euphoria, primarily because I was speaking to a legend in the field of cannabis! A humble man who exudes the passion and youthful exuberance that would be refreshing to say the very least. And as the time slipped away and the DF Tram music that I was listening to, way off in the background, began to deepen the overall experience of sharing ideas and thoughts, I realized that my place in the cannabis field is every bit as pertinent as most others. And that was good for now, because sharing thoughts with folks such as Josh would have been unheard of for me just a few short years ago. So please allow me to share with you, dear readers, a very kind man who is doing something truly unique in the business of medicating with flowers. Hospitality Sessions: The Cocktail Whisperer!! The Canadian Association of Professional Sommeliers (CAPS) – Ontario in partnership with Lifford Cannabis Solutions invites the hospitality community to join us for this monthly event series. Please join us at Lifford Wine & Spirits (471 Jarvis Street) on the third Wednesday of the month to learn more about how cannabis will impact the hospitality industry. Learn How to Create Your Own Type of Cannabis-Infused Cocktails with Warren Bobrow at 2019 Cannabis Drinks Expo. Known in many bar-tending circles simply as the “Cocktail Whisperer,” Warren Bobrow has literally written the book on how to create new types of cannabis cocktails – everything from coffee and tea-based beverages to cooling lemonades and sparkling herbal infusions. In fact, his new book “Cannabis Cocktails, Mocktails and Tonics” illustrates more than 75 drinks that you can make with infused cannabis. 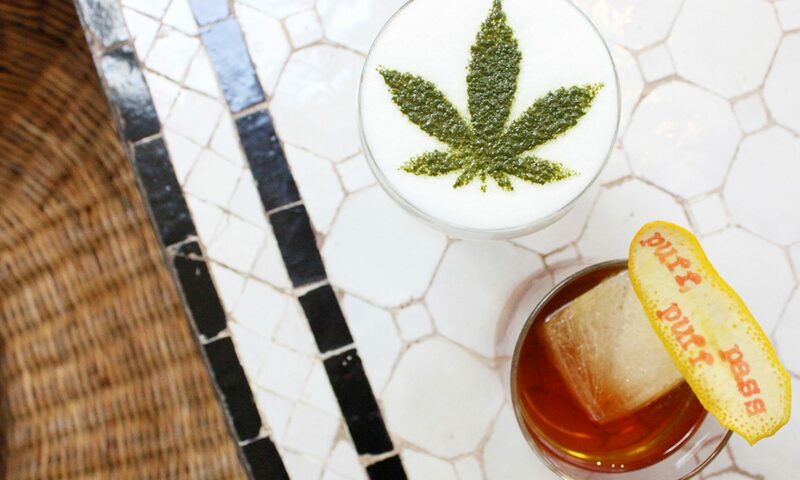 As a result, thanks to the creativity of celebrated mixologists like Bobrow, bartenders have a new way to surprise and delight their patrons: the cannabis-infused cocktail. At the upcoming 2019 Cannabis Drinks Expo in San Francisco, Bobrow will be demonstrating to audience members how to create their own cannabis-infused cocktails, focusing on one exotic creation inspired by Vietnamese street vendors. This iced cannabis drink features THC-infused condensed milk with sugarcane juice and coconut water ice. For lazy afternoons and late nights socializing with friends at the bar, this Asian-inspired cocktail might just be the perfect buzz worthy libation to serve. As Bobrow will point out during his presentation at the Cannabis Drinks Expo, combining craft spirits and top-shelf cannabis into tasty little cocktails requires a little knowledge of what he refers to as “cannabis alchemy.” In other words, you simply can’t make a cannabis-based cocktail the same way you would a traditional mixed drink. First, you need to infuse the cannabis into the craft spirit of your choosing. CBD curious? Then check out these CBD-based cocktails which are a great way to introduce people to the magic of this soothing cannabinoid. These drinks are non-threatening, healthy, and incredibly versatile, making them the perfect choice for health-focused folks. While you can buy your own pre-made CBD products to mix into the cocktails (more on that later), making your own CBD-based solution is the way to go.